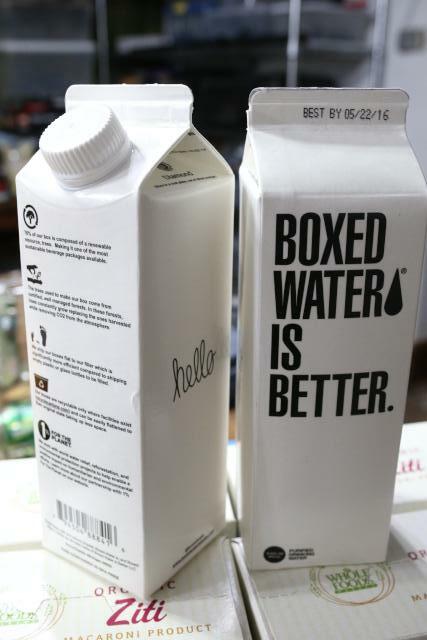 Boxed water! So much more awesome than bottled water, because it doesn't roll. Though, as I learned in a packaging magazine once, this is actually gable-topped cardboard container water.